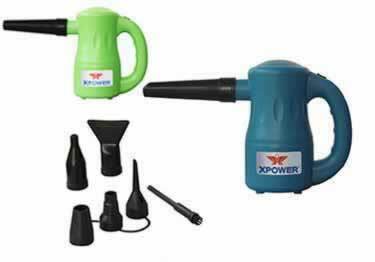 The Pro Multipurpose Electric Duster and Blower can be used to dust, pump air, and dry a variety of surfaces. Its 500 Watts of power blast away dirt and dust from window blinds, under appliances, keyboards, electronics, and much more. Great, environmentally friendly, alternative to canned air - contains no dangerous fluorocarbons or inhalants. Can also be used to dry a variety of surfaces including the dog! Over 500 watts of power to blow away dust from keyboards and electronics, underneath appliances, window blinds, etc. The Pro Multipurpose Electric Duster and Blower can be used to dust, pump air, and dry a variety of surfaces. Its 500 Watts of power blast away dirt and dust from window blinds, under appliances, keyboards, electronics, and much more. Great, environmentally friendly, alternative to canned air - contains no dangerous fluorocarbons or inhalants.